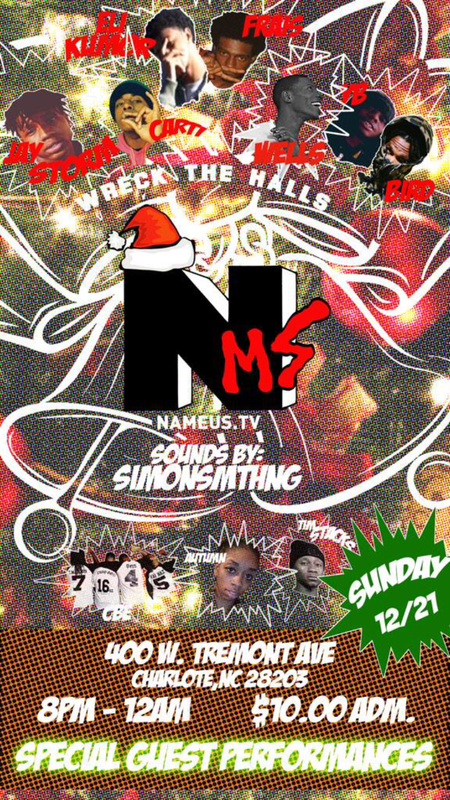 Nameus.tv presents their holiday show “Wreck The Halls” to Tremont Music Hall this year on December 21st and it’s going to be a jolly good time. There will be performances from Well$, Tim Stacks, Autumn, Frais, Eli Kumor, YB, Bird plus more with Simon SMTHNG on the ones and twos. Admission is $10 and the show starts at 8 pm. Start your Christmas week off right and support Charlotte by attending this show!